Father's Day is this Sunday. I'm looking forward to celebrating another one with my Dad. This week has been a little tough. My Dad's PSA is once again rising. The difference this time is that there is no other chemotherapy available for him to try. Medically, they've done everything they can. At this point, the only thing they can do is minimize his pain and discomfort. We've never believed that the medicine would heal my Dad (only God can do that) but now there isn't anything medically to help prolong his life. We continue to pray and trust God. We want to see Dad healed this side of heaven. Our hope is in the Lord. Regardless of what transpires over the future days, months and years, I will choose to trust God and love Him with my whole heart. This doesn't mean there haven't been tears. I love my Dad. He's still my Daddy and I'm still his little girl. Okay, so I've been going through some of my past posts and I'm going to be doing some re-posting. It's really for me. After all, this is my blog. But I know that many of you know and love my Dad too and/or can relate a father-daughter bond. This post was originally posted on The Campbell Corner for my Dad's Birthday in 2010. If you are a regular reader here at my corner then you know how special my Daddy is to me. 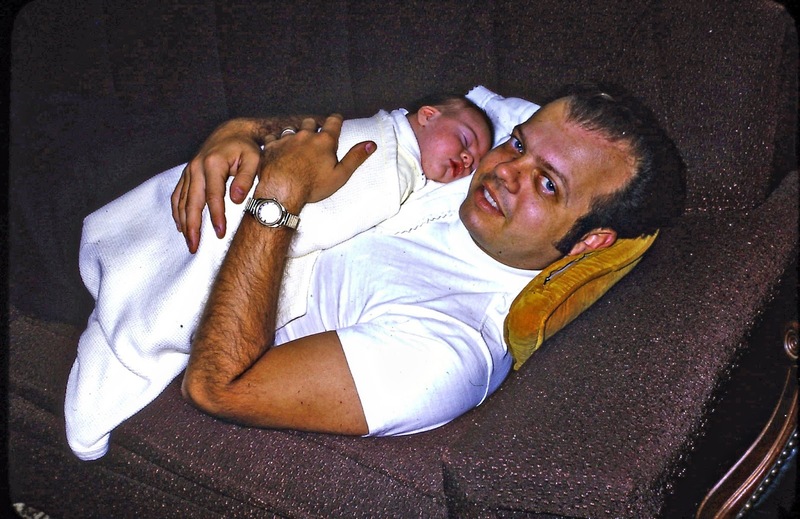 I've written about some of Dad's Rules around Christmas and the various Traditions he has instilled, His favorite cake and how we watched my first Superbowl together. He has always been my valentine - shared with my sister of course. And we are both still Daddy's Little Girl. To top off these memories, the one that seems to resonate with me today is the fact that no one prayed like my Dad and the security that gave me when I was scared or needed some comfort. When my Dad prays he doesn't use super big words but there is a passion and strength that is there. That passion and strength has always been part of him...it's just evolved over time. He was born in 1939 and grew up on the streets of New York City. His family lived on a German block in Queens - that wasn't the name of the street but the families on that block came over from Germany. He has told me how it wasn't easy being ridiculed, being called 'Nazi' and targeted by bullies. He never joined a gang. His Dad (my Poppy) taught him how to fight and I still recall a story where he cheered my Dad on as he defended himself against another boy. They moved out of the city when he was sixteen. He told me that he and his dad witnessed a fight where switchblades were pulled and used. Apparently my Poppy defined that type of fight as 'unfair' and determined it was time to move the family. I can't imagine growing up like that. Always on the defense. It's taught in psychology classes that the typical response to threatening situations are fight or flight. I don't know if my Dad comprehends 'flight'. I'm not sure it is part of his vocabulary. I'm just kidding about the latter...well sort of. 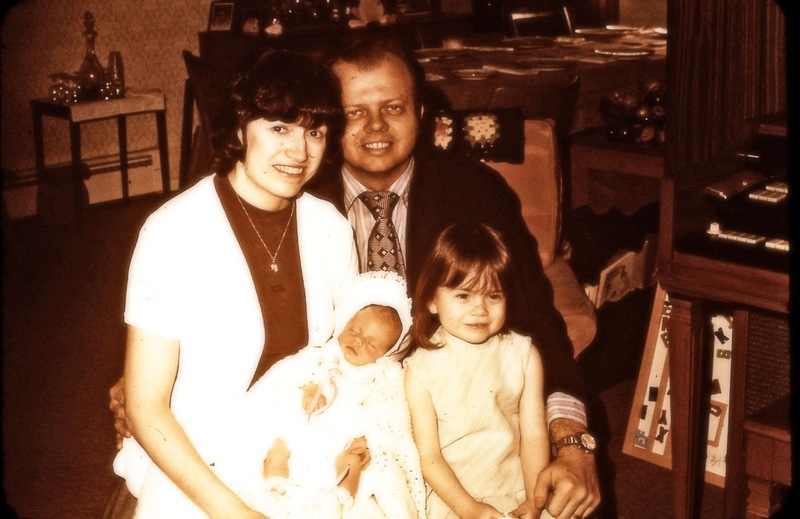 My Dad invited God to be a part of his life when he was thirty-three years old. I was a toddler. As a little girl, the fighter part of my Dad became my defender. I knew that no one would hurt me or my family because my Daddy took care of us. I'm sure every little girl sees her Daddy as her hero but I remember times when I felt threatened by someone and my Dad had words with that individual and then everything was a-ok. Sometimes I wish I knew what he had said and then I think that I'm better off not knowing. As an adolescent, the fighter part of my Dad was truly annoying. I felt like he always had to be right and we battled verbally - especially when I knew he was definitely wrong and I was right. LOL. As an adult I understand where the fighter in my Dad came from. It is still sometimes annoying - just being honest - but I've also seen it change. The real strength of this trait is when he prays. He never gives up. He never gives in. He fights and fights and fights because He knows that his Daddy- Abba - is in his corner, cheering him on.